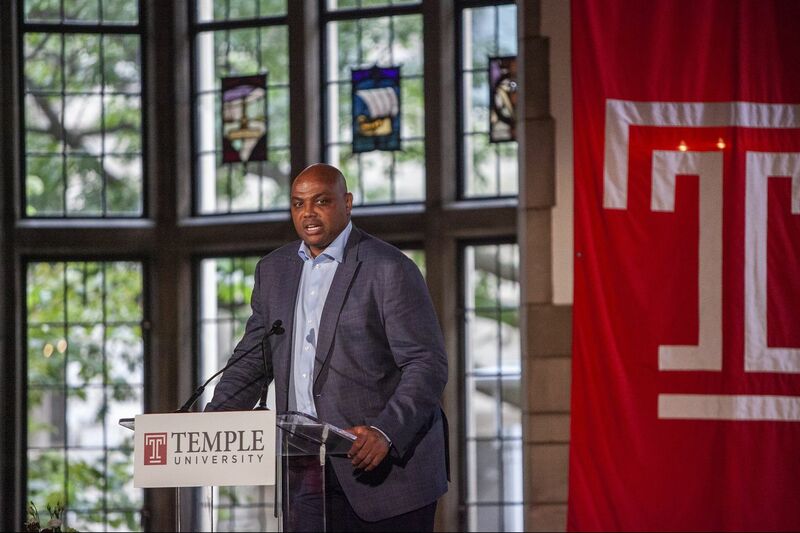 Charles Barkley was honored by Temple University as the winner of the Lew Klein Excellence in the Media award. Charles Barkley began his Lew Klein Excellence in the Media Award acceptance speech how only Sir Charles could, breaking the ice by listing the three B's to keep in mind while giving a speech. "Be brief, brotha," Barkley said Friday at the beginning of his just-under-10-minutes speech. Barkley stood in front of hundreds of esteemed Temple University alumni and guests during the 18th annual Lew Klein Alumni in the Media Awards luncheon. He was honored with the communications school's most esteemed award for a non-alum. "You always have to keep doing your job," Barkley said, addressing the crowd on facing criticism. "That's all I try to do, is be honest and fair." Barkley's basketball career as a Hall of Famer speaks for itself. Playing eight seasons for 76ers and leading the team to the Atlantic Division title in 1990, he is now cementing his legacy in television and as an author. He won an Emmy for his analysis on TNT's "Inside the NBA" and is the author of books including I May Be Wrong, But I Doubt It and Who's Afraid of a Large Black Man? Barkley gave a few thoughts on the young Sixers and how they stack up to other teams in the NBA's Eastern Conference. Q: What are your thoughts on the Sixers' young core? Well, they're going to have a good team because Ben [Simmons], Joel [Embiid] are terrific and [Dario] Saric. It's going to come down to Markelle Fultz. How well he plays is how good the team can be. Q: How do you think they stack up in the East this season? Toronto and Boston are probably ahead of them. But that all depends on Markelle. Markelle is the key.